Every man needs at least one good suit. And it should be clean, pressed and ready to go. Suit appropriate occasions can often pop up unexpectedly. And if you only need one suit, be sure1) it fits, 2) it is clean and pressed, 3) it is dark in color, and 4) it is classic in style. A darker color like navy or charcoal will be appropriate for any occasion. 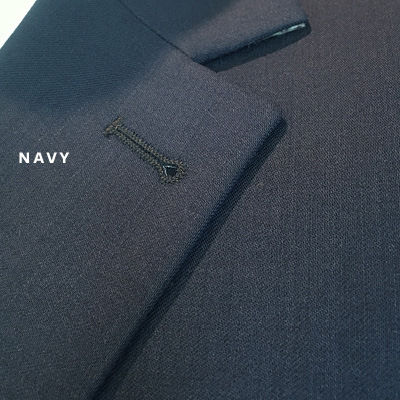 An argument for a solid navy as an only suit in your wardrobe is versatility; occasionally wear the jacket as a blazer. We recommend a solid pattern since it is the most formal in a dark color AND can easily be tipped towards less formal with patterned shirts (plaids and checks) and sporty ties. Our classic style is a natural shoulder (soft and rounded), two button, side vents and two lower flap pockets. The very short and very trim styles have a place in the fashion world but not in the professional world. Our position is slightly shorter and slightly trimmer. 1. A plaid or textured weave (tic weave or nailhead) in an earth tone (brown or olive) for less formal occasions. If chosen carefully, you could have a suit that could be worn as a separate coat or trouser. 2. A middle gray, either plaid or stripe. 3. A solid tan is great as an early spring through September seasonal look. Feel free to call us or stop by if you would like more specifics regarding colors/patterns mentioned above. As far as fabric, our vote is for wool or a wool/elastane blend. 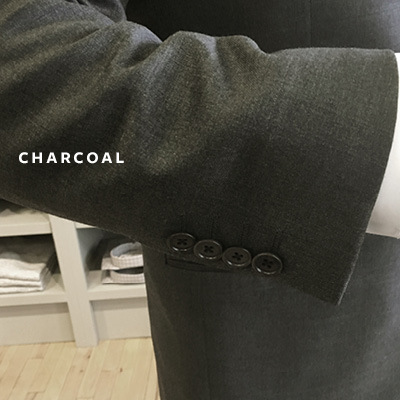 The new suiting fabrics are even better than they were even a year ago. They drape nicely, pass the body's heat and moisture in warm weather, insulate in cold weather, and resist wrinkles. 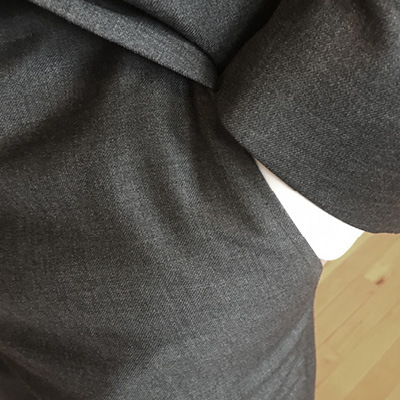 One customer remarked after traveling all day in his new suit, “my suit looked better than I did".